Make one call and we do it all! Our Finance and Insurance Department makes it easy for you to purchase a new or used Harley-Davidson® motorcycle and insure it at the same time. We have a whole department dedicated to organizing finance and insurance; we’ve done the research and found the best rates and premiums. 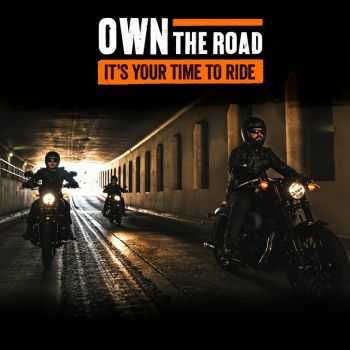 Business Manager / Finance and Insurance Person / F & I department / Money person / Bean Counter whatever you want to call them they are the best-kept secret at Sunshine Coast Harley-Davidson®... But not anymore! Most customers don’t even realise they exist or if they do, may not be fully aware exactly how our Business Manager can help you. We employ a professional Business Manager to offer advice to both new and existing customers. Our Business Managers are your first port of call if you’ve ever dreamed of owning that bike you’ve always wanted. They help people get the motorcycle finance for their dream bike everyday. We do this every day, we are experts at matching a loan and coverage to your lifestyle. Nothing is too hard and we get the best deal for you. Our Business Managers have access to multiple lenders so they’ll do the shopping for you! We have the largest motorcycle finance department in Australia,we can custom build a finance package tailored to suit your situation. You can simply purchase or trade-up to your favored Harley-Davidson, new or used, at extremely competitive rate. * Conditions may apply, coverage may vary.